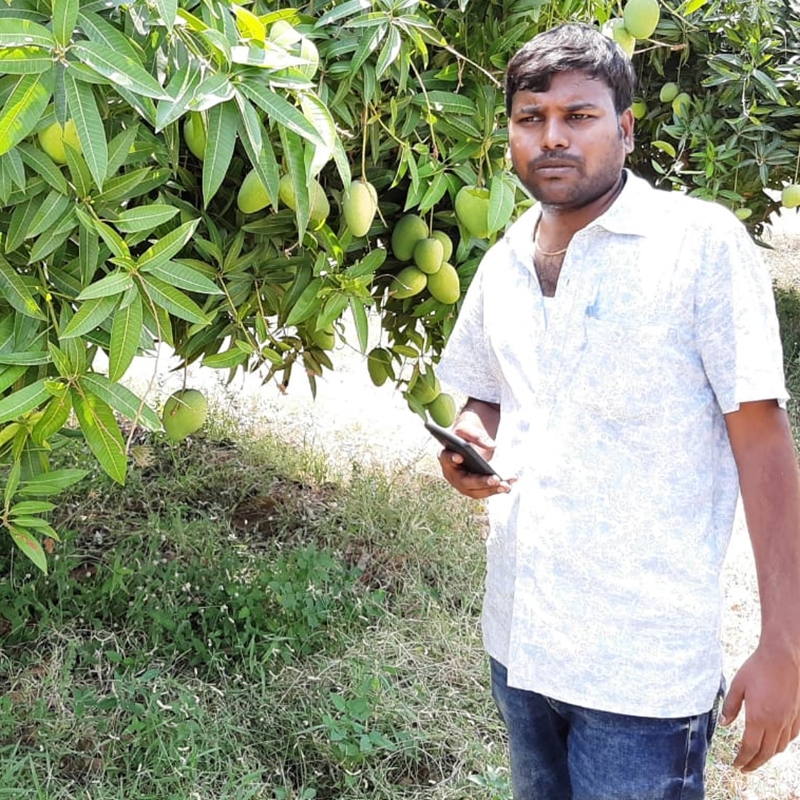 Sharath was a software techie working in Bengaluru and Hyderabad for over a decade when he decided to go back to his hometown and start working with his dad on their mango plantation. Understanding the requirements of the ever emerging fruit market and understanding the requirements of the customers in the city, Sharath ventured into growing the mangoes organically without any chemical residue. Now the next step for him is getting into certification for both his farms and his fruit. Banganapalle Mangoes are one of the first mangoes to hit the Indian market. The mangoes are almost similar to the Safeda mangoes that we get in North India but have a slight tanginess in taste. The pulp of the mango is light yellow in colour. The fruit is a perfect fruit to be cubed and has little fibrous pulp. It's also a great mango to make juice and shakes. Taste The fruit is sweet and the flavour is fuller. The fruit has a slight tanginess (found in all mangoes from South India) along with the sweet flavour. Ripening The mangoes are transported in an unripe state and will require 2-3 days of ripening as no artificial ripening is used to ripen the mangoes. Leave the mangoes in the box that you receive them in and keep them in a warm dark place for a couple of days. Check once every day to pick out the ripe opens and the rest can be turned to allow proper ripening.